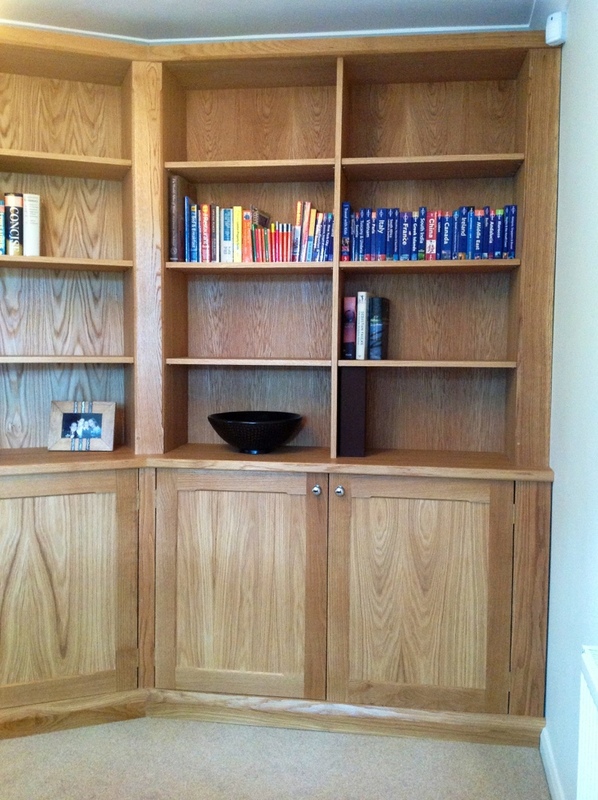 This bookcase is slightly different to the rest, the reason being the wall that it backs up to has a 15 degree angle halfway through it. 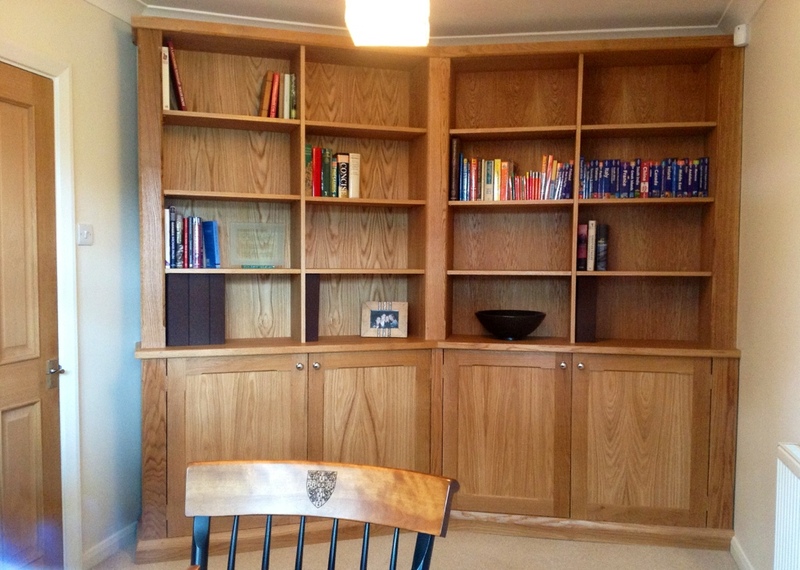 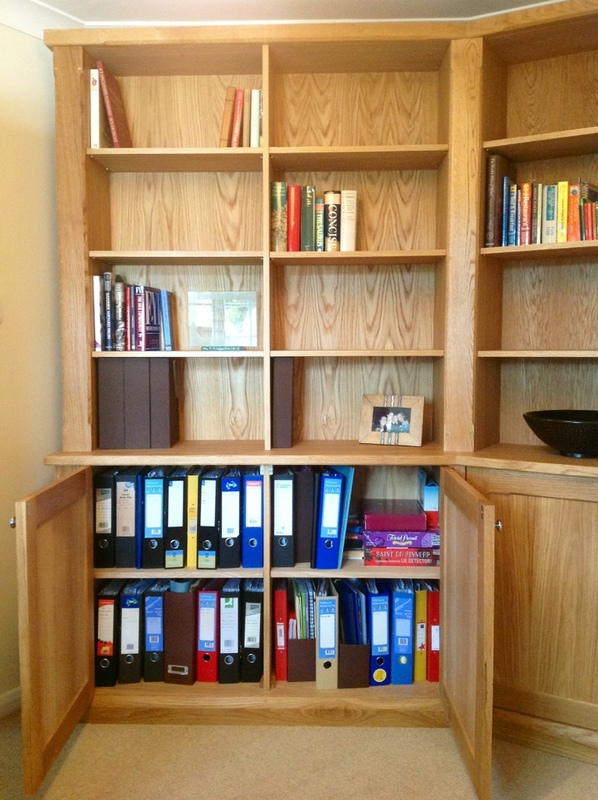 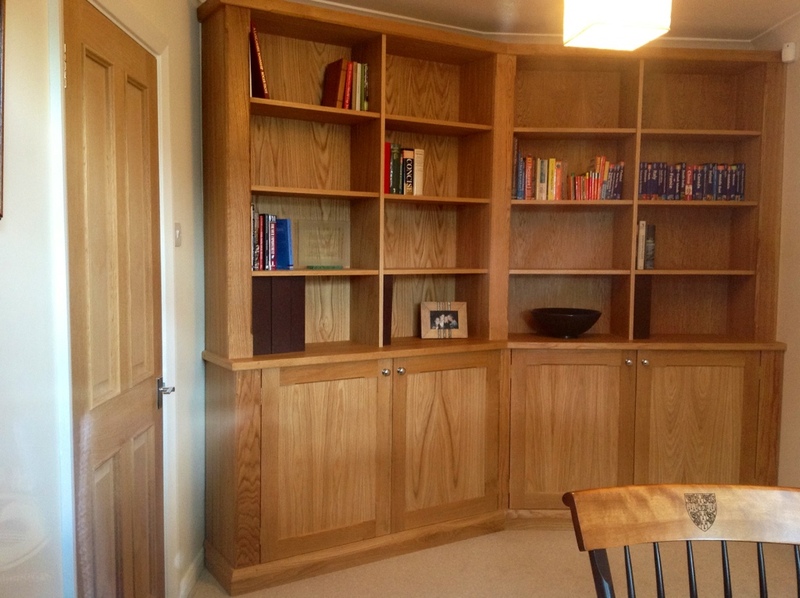 The client could not find anything that would fit or have the right storage space for all the different folders, books, DVDs etc that they wanted storing. 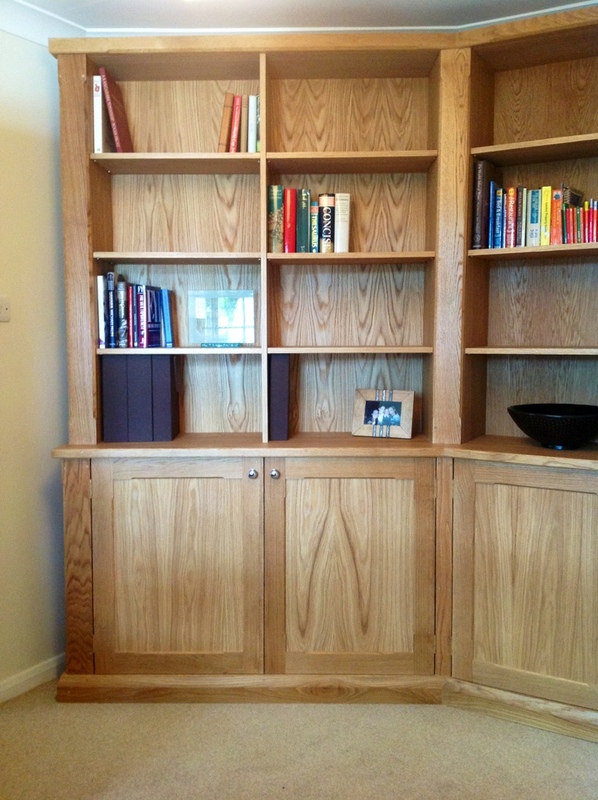 I drew and designed a bookcase that’s one solid piece of furniture only built with a bend in. 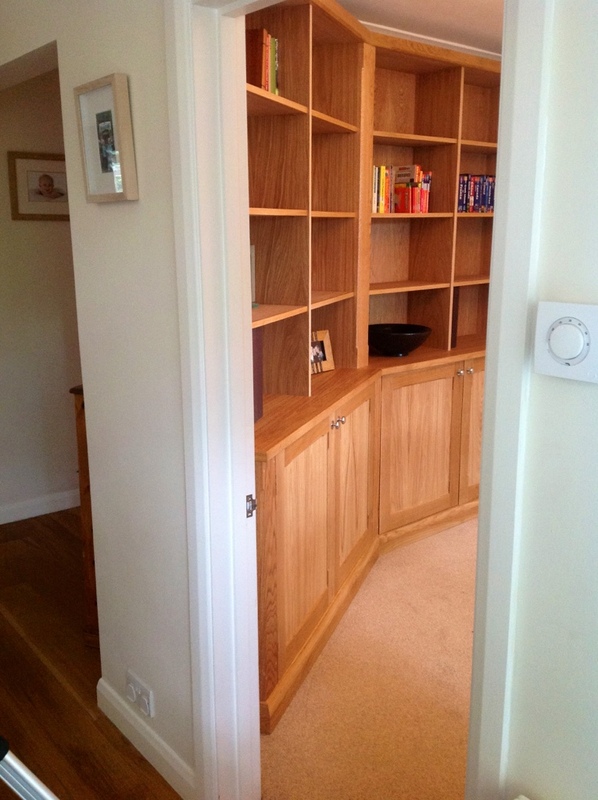 It fitted the wall perfectly and gives a large amount of storage.